Javier Herrero, Ph.D., Alberto Tejera, Ph.D., Carmela Albert, Ph.D., Carmina Vidal, Ph.D., Maria Jose de los Santos, Ph.D., Marcos Meseguer, Ph.D.
To describe the times associated with the morphological changes that occur in the embryo during preimplantation development based on the largest sample size described with time lapse. A total of 9,530 embryos from 1,806 intracytoplasmic sperm injection (ICSI) cycles. Using a time-lapse system, embryo images were acquired for at least 68 hours, in some cases reaching 120–130 hours. Embryo cleavage time points up to 8-cell-stage (t2–t8) as well as morulae (tM) and blastocyst formation (tB) were registered in hours after ICSI. Additionally, duration of the cell cycle (cc) and synchrony (s) of the second and third cell cycles were defined. 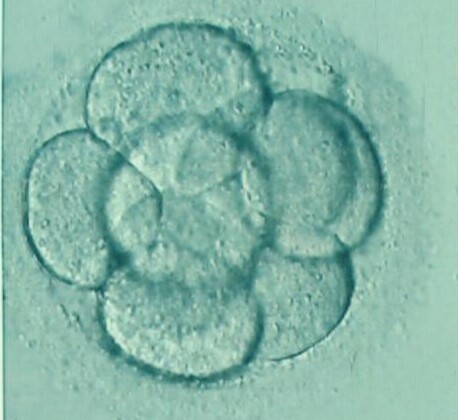 Finally, four subgroups of embryos were considered: the “regular divisions” group excluded embryos with a direct cleavage from 1 to 3 or 2 to 5 cells, and the “viable 8-cell,” the “viable blastocyst,” and “implanted embryos” groups included only embryos viable to the 8-cell stage, blastocyst stage, or transferred and successfully implanted, respectively. Averages of times in the general population were: t2 = 27.9 hours, t3 = 38.2 hours, t4 = 40.7 hours, t5 = 51.0 hours, t6 = 54.1 hours, t7 = 56.7 hours, t8 = 59.1 hours, tM = 86.6 hours, tB = 104.1 hours, cc2 = 10.3 hours, cc3 = 12.8 hours, s2 = 2.7 hours, and s3 = 9.9 hours. Comparison between groups showed significant differences between regular divisions and viable 8 cells for t2, t3, t5, cc2, cc3, s2, and s3; between 8 cells and blastocyst for t5, t8, tM, cc3, and s2; and between blastocyst and implanted embryos for t8, tM, tB, and s2. Differences in timing related to morphology of cleavage- and blastocyst-stage embryos were detected. A time-lapse monitoring system applied to embryology allows accuracy and objectivity when defining the basis of embryo development within a clinic. The sample size is the largest ever described that provides consistent information about the normal distribution of embryo developmental timings.